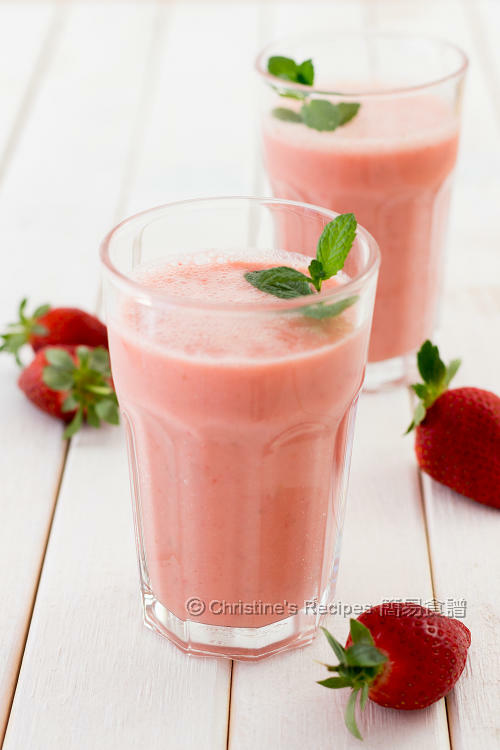 Whenever I finish doing body workout, I like to have a full-glass of smoothie, like this mango blueberry smoothie, or this strawberry smoothie. Both are super healthy and handy to be prepared on the go. Yesterday was the starting day of Spring down under here. Strawberry is still in season. Lucky that I got some beautiful strawberries at a bargain price. 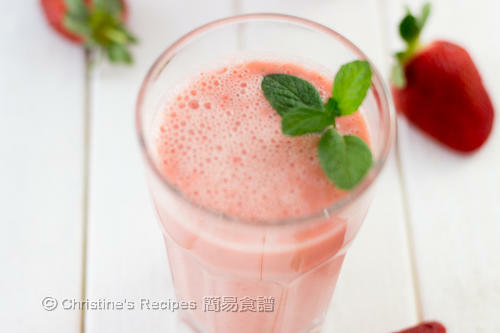 I especially love the vibrant red colour of this smoothie, very pleasant and refreshing. 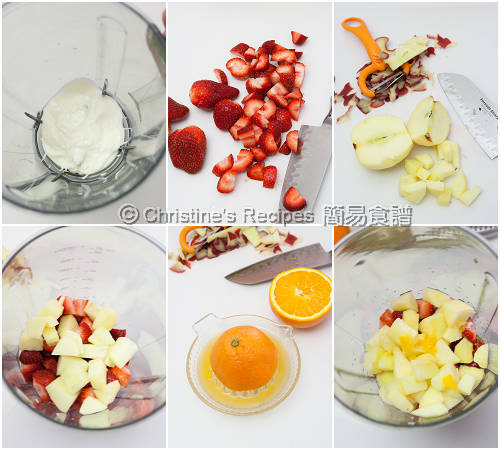 If fresh strawberries are not available for you, you can use frozen ones instead. The taste is equally good. Pour into two serving glasses and serve immediately. The amount of honey used depends on the sweetness of the fruits and personal preference. That's exactly what I would love after my morning yoga! Delicious!